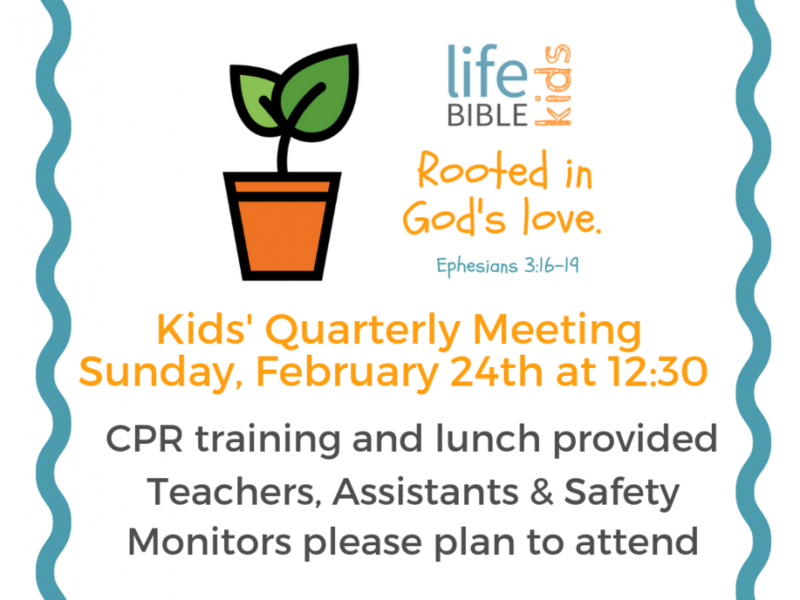 Children’s and security teams are encouraged to attend this quarterly meeting. A professional is coming in to teach basic CPR and lunch will be provided. Meeting to begin by 12:30 pm.